I hate detective shows. Can't stand them! It always comes down to the same outcome of the least likely suspect being the "mysterious" killer. And once you realize this, it's just about figuring out who is the most likable character, and the rest is always a boring trek until it's finally revealed that, yes, the murderer is indeed the character which you suspected all along. It's the same in absolutely every detective show, film or novel ever made, and even worse are the shows where some heroic policeman or woman is chasing some monstrous killer, only to finally catch him. The end. I cannot for the life of me understand why there are so many shows like this, when it's infinitely more interesting to flip the tables, and make the killer the protagonist. Remember the first season of Dexter? That was something else. 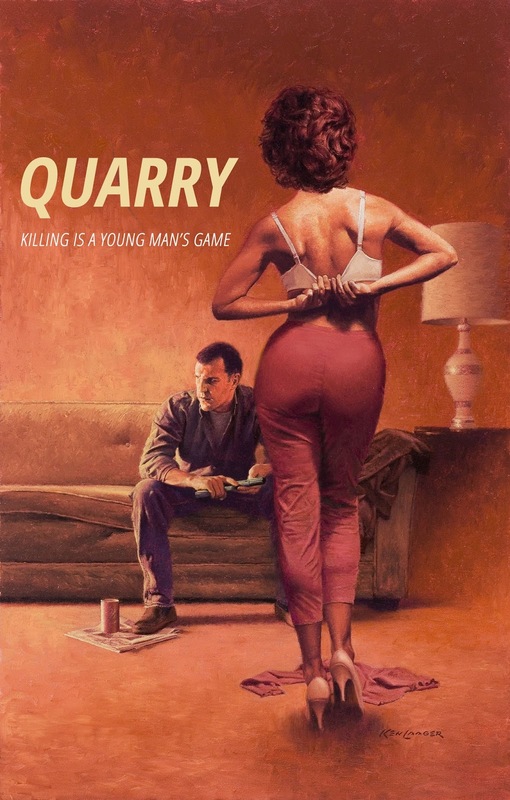 And Quarry is basically the same setup, only this time the killer does not murder out of some fucked up mental issues, but rather because of a much more primal need: money. That's right, Mr. Quarry is a hitman who will kill anyone he gets paid to kill. And as dark as that might sound, the show somehow manages to make this killer for hire into a very likable character, which has you rooting for him to get away with murder every episode. Add to that an incredibly true to life 70s setting, some amazing performances, groovy music and great cinematography, and you've got a one-of-a-kind experience that you don't want to miss out on. The first season was amazing from beginning till end, so here's hoping it will be renewed.